One of Naples Best Values! Immaculately maintained 3 bedroom and 3 full baths, rarely lived in townhome, located in the award winning neighborhood of Verona Walk! 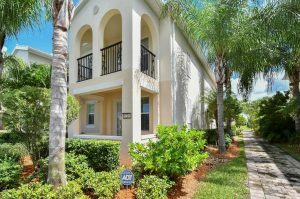 Named “Community of the Year” for the entire State of Florida, this amenity rich neighborhood has it all! Features include 24/7 manned gatehouse, over 20 miles of jogging and bike trails, a resort-style pool, state-of-the-art fitness facility, children’s play area, lighted tennis courts, bocce ball, basketball and pickleball! Additionally, the Town Center has a restaurant, a bank, post office, travel agency, gas station, car wash, library, ballroom, card rooms, computer center and a full-time activities director! It’s a great place to live! 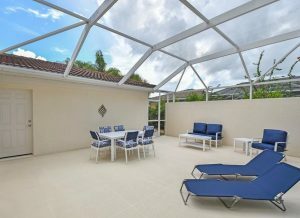 This is the Florida lifestyle you’ve been dreaming about! 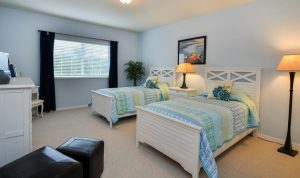 The home itself boasts 3 spacious bedrooms, each with their own bath and walk-in closets! 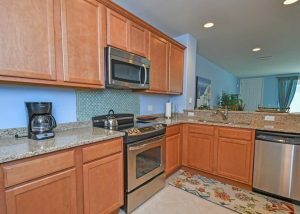 The open design gourmet kitchen has granite &stainless appliances and a breakfast bar that opens to the Great Room! Two private balconies overlook the tranquil lake, and the back lanai is so private and it’s screened with access directly from your own private 2- car garage! What more could you ask for? Low fees? Yes! For less than $3,500 in HOA fees annually you can enjoy all the amenities Verona Walk offers! Did you say pets? Yes, pets are allowed! No approval needed and big doggies are welcome! Call Sam Wells at The Harris-Peppe Team today to get details on this wonderful opportunity. 1-239-404-4889 [direct]. ~ Asking only $309,000. 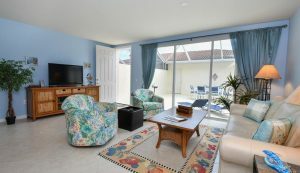 Once you see this super buy you’ll understand why we think it’s one of the very best values in Naples Florida!